The official Mexico tourism site is www.visitmexico.com (with links to official sites for state and city tourism organizations). The People’s Guide to Mexico (www.peoplesguide.com) is an extension of the irreverent and highly recommended book of the same name. Mexico Connect (www.mexconnect.com) is a subscription-based site ($30 per year) that has been online since 1996. 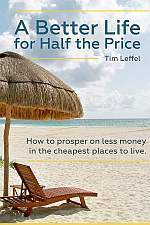 It is probably the most thorough resource on the Internet for info about traveling or living in Mexico. MEXonline (www.mexonline.com) is one of the most popular and comprehensive guides to the country. Mexico Mike set up one of the first web guides to the country. Moving to Mexico? Try Mexperience. Our Mexico (www.ourmexico.com) has lots of stories, news, and links. Gay Mexico (www.gaymexico.com.mx) covers the scene in different locales. Have a useful Mexico website you’ve bookmarked and used? Add it to the comments below! Thanks for this compilation of links. It’s really helpful.